Today, various regional politicians have written to the leaders of the four main parties, calling for a guarantee that Phase 2b of HS2 will be built, in the face of heavy criticism, a lack of public support for the scheme, rising costs and speculation that it will be cancelled. This comes the same week as former chancellor of the exchequer Lord Darling said “This thing is never going to get to the North of England in any of our lifetimes” at a meeting of the House of Lords Economic Affairs Committee. 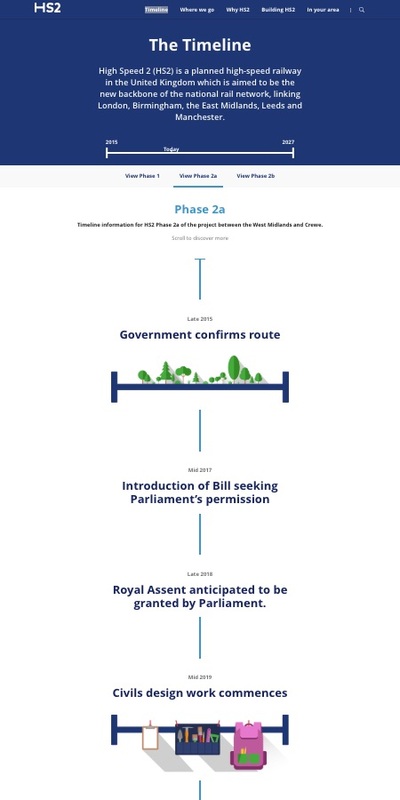 The letter is full of factual errors: it claims that Phase 2a to Crewe should get Royal Assent this year ‘as planned’, when the HS2 Ltd website still shows that this ‘is planned’ for the end of last year; whilst HS2 Ltd claim the project is ‘supporting’ 7,000 jobs nationally, the letter claims it has ‘created’ 7,000 jobs in Birmingham alone; it also claims that HS2 will connect cities such as Leicester and Derby, despite the fact there are no plans for HS2 trains to go to those cities, not even on existing lines. The letter states that building HS2 is akin to the motorway building programmes of the 1960s and 70s, even though HS2 is far from a national network and unlike motorways does not have any way to get off between London and Birmingham. The letter comes two days after the former chair of HS2 Ltd Terry Morgan, at the House of Lords Economic Affairs Committee, admitted that no-one knows how much the project will cost, that ‘something has to give’, and that it is unlikely Phase 1 could be opened on time if it relies on Euston station being operational for HS2 trains in 2026. “As always when there is a growing consensus that HS2 is a bad idea, a group of organisations that are most likely to be the direct beneficiaries pipe up to ask politicians to continue with it. But these aren’t people who will be paying for it, these are the people who might get the most out of the Government spending well over £50 billion of taxpayers money on a single project. we read that businesses in the Birmingham area have been offered derisory compensation rates, certainly less than the value of their businesses. Will the same proportionality apply when houses on the route are compulsorily purchased.